The unconscious bias that thwarts women seeking tech careers is unjust to individuals and a disaster for an industry limited only by the shortage of talent. Looking down the pipeline for the next generation of women in tech, the picture isn’t rosy. Of the STEM disciplines, tech is the only one where the participation of women has actually decreased in the last 20 years, explained Judith Spitz, a former Verizon CIO of 10 years, during the 2016 Propeller Innovation Festival in Hoboken, NJ. Low levels of female employment and leadership in tech should signal alarm bells, and not just for women. Gender diversity is increasingly becoming an economic argument, not merely an ethical one. 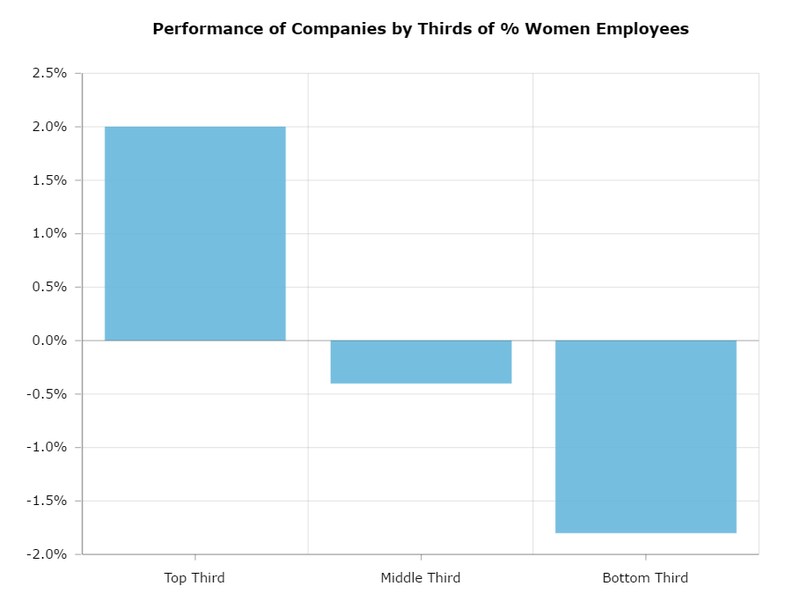 So why does gender diversity even matter, anyway? What’s wrong with having an 80% male dominated profession? If anyone is qualified to explain the nuances of this complex issue, it’s Spitz. As the Founding Program Director of the WiTNY Initiative, she’s a recognized leader in facilitating the participation of young girls and women in technology careers. If you’re looking to get a concise understanding of why gender diversity matters – particularly on a macro level – watch this three-minute video. Spitz is quick to demonstrate how gender diversity is not merely an opportunity for women, but creates opportunity on a larger scale for companies, the tech industry, the economy, and humankind. To recap, here are four major areas she identifies that are impacted by gender diversity. Scores of recent studies have linked companies with increased gender diversity with increased ROI. Take for instance the findings of a recent study by Morgan Stanley that shows more diverse workplaces deliver better returns and less volatility. McKinsey also reports that companies in the top quartile for gender diversity are 15% more likely to outperform against industry medians. The research increasingly shows that if you care about revenue and profitability, you’re going want a more gender diverse team. Seeing more women into technology leadership roles could help level the economic playing field, in an industry where females typically hold the lower-paying positions. Currently the highest-paying tech job in the New York market is an application developer, and 80% of these jobs are held by men. The lowest paying job in the tech field is as a medical lab technician, and more than 60% of those jobs are held by women. “We can’t afford to have women sitting on the sidelines of the opportunity to lift themselves out of poverty and into the middle class,” says Spitz. There’s a more existential reason we need more women in technology leadership roles. Take for example, the observation by futurist Ray Kurzweil that technology is the evolution of human biology. Gender diversity and leadership in tech is an urgent issue to address, not merely to offer balance to a male-dominated industry, but because of the strength and impact of its ripple effect. How are you – as an entrepreneur, company, or individual – encouraging gender diversity in tech? What other factors should be considered? Let us know via @letsPropel. For more learnings from the Propelify Innovation Festival visit Propelify.com.